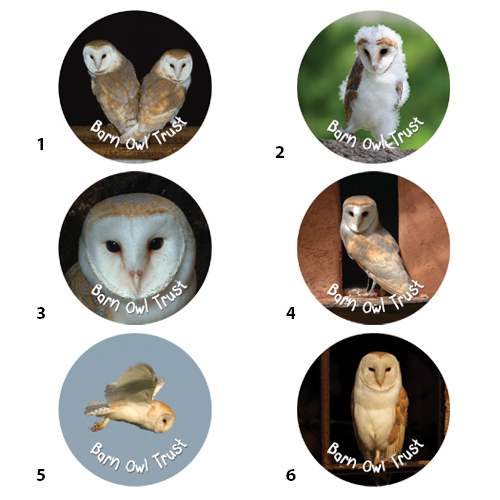 Round Barn Owl fridge magnets, produced in-house by staff and volunteers of the Barn Owl Trust. 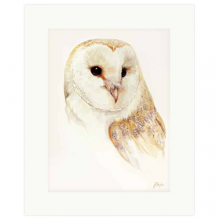 6 cute Barn Owl designs for you to choose from. Owl fridge magnets produced in-house, here in Devon UK, by our wonderful volunteers and staff. 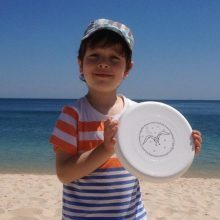 Large size: 5.5cm diameter (about 1 ½ inches across). Metal base with paper photo and clear plastic cover. 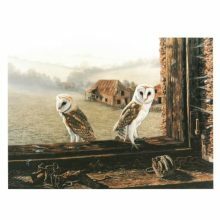 6 lovely Barn Owl designs for you to choose from. 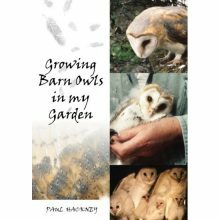 All Barn Owl photos used with kind permission.